Home / Work / Excluding Children Doesn’t Work. It’s time we engaged every learner. The Alternative Provision sector is failing young people. School exclusion in the UK is rising, but of those children in alternative provision a tiny percentage get the skills, experiences and qualifications they need to create a bright future. We believe that all young people are capable of excellence and can learn to thrive, regardless of their social background or educational experience. We are on a mission to create new models of learning that engage each and every learner. At a system level, our most vulnerable and disengaged young people—notably those in alternative provision—perform very poorly by standardised metrics. However the government’s key indicators are designed to hold the mainstream school system to account, and don’t come close to capturing some of the most important dimensions of learning and growth that students in Alternative Provision really need. What school offers simply isn’t interesting, relevant or useful enough. Poverty, poor housing, high crime, make it harder for students to deeply engage in learning. Some students have been victims of neglect, trauma, abuse, and addiction and many more struggle with mental health problems or face considerable learning difficulties. School serves the needs of most young people but marginalise students that don’t fit in. Imagine a world in which ‘alternative education’ is synonymous with inspiring leaders, talented teachers and outstanding schools making use of cutting-edge teaching methods. By harnessing our collective wisdom this can be a reality. We have joined forces with Big Picture International and are looking to bring their model to the UK. 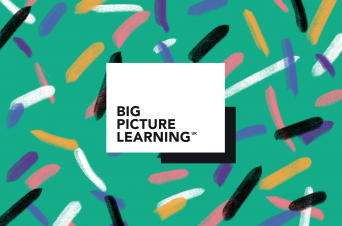 Big Picture is a powerful design for learning which has been used successfully to re-engage vulnerable young people in education in the United States and Australia, leading to levels of progression to university and work that rival and often exceed mainstream schools. Due to its active engagement of community resources, Big Picture is a cost effective solution operating on the same cost per pupil basis as mainstream schools do. Innovation Unit are UK partners in the BP International network and are working with the Metropolitan Borough of Doncaster to bring Big Picture Learning to its alternative provision system. For the past year with have been hosting the REAL Alternatives Hub in partnership with the GLA and the TBAP Multi-Academy Trust. 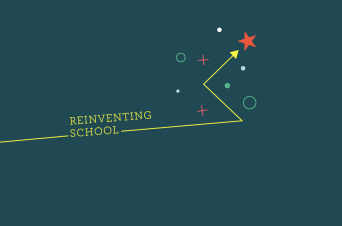 The mission is to identify and connect alternative provision schools and a wider network of professionals across London who are passionate about re engaging young people in education. As a community of practice each school that is part of the hub designed, developed and began to scale new teaching and learning practice, took part in collaborative work with other schools beyond their normal networks, created new leadership opportunities and developed their innovation capability. The alternative provision sector is characterised by teachers and professionals with exceptional levels of motivation and compassion, who are committed to providing education to some of the UK’s most disadvantaged young people. 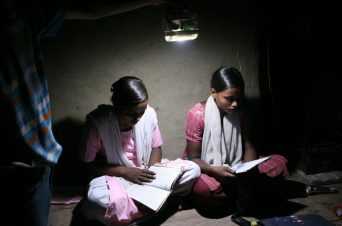 We must harness that energy to drive system change and work towards a new chapter in the provision of alternative education. Learn more about how you can bring Big Picture Learning to your area, and re engage disadvantaged young people in an education fit for the 21st century. We are developing a Learning Outcomes Charter to make a high quality and future focused offer to all students attending Aga Khan Education Services schools.